Guide to Moving Out of State: Part 1 - Pre-Move Checklist. If there's one thing that I've become very familiar with in the last few years, it's moving out-of-state! When I was a little girl, I never thought that I'd leave my home state of Maine. It wasn't until middle school that I started to dream about living my adult years out of state, and then looking at colleges during my junior and senior years of high school in different places was when I knew moving would be a reality! I actually never moved in my life until I went to college, so the act of moving was something very foreign to me for my childhood and high school years. Anyways, I moved seven times from Maine/North Carolina and vice versa in my college years, and in the last year alone I've done two big East Coast moves for radio jobs (North Carolina to Vermont, Vermont to Virginia). Moving out of state is now something that I'm very familiar with! 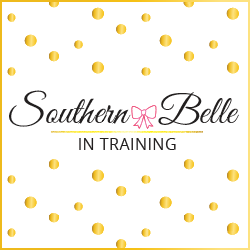 Since I most recently moved about three weeks ago and a lot of the moving process is still fresh in my head (and I'm still dealing with some of it, like DMV fun), I wanted to do a mini-series of posts here on Southern Belle in Training all about the tips and tricks that my dad and I have picked up over the last few years between my college moves and my apartment moves! There are so many logistics that go into pulling off a successful out of state move. Even though we've done it several times now, I still don't think that we have it all down. But, there are aspects to it that get better each time, and things I've learned in past moves from trial and error that I do automatically now. Today's post will focus on things to do before you move out of state- a countdown and checklist if you will! 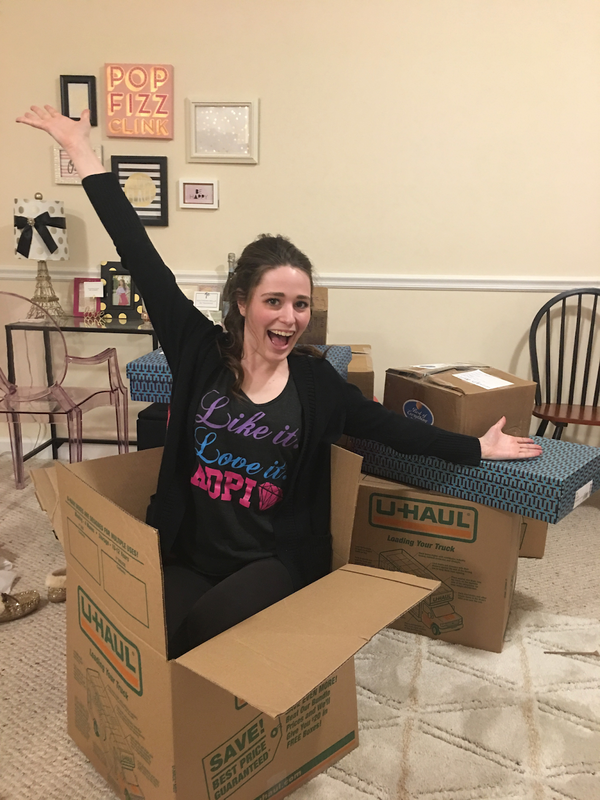 The second post in this series will focus solely on packing, and I'm still figuring out what to do for the third post (maybe a moving Q&A?). Before launching into the checklist, I want to say a disclaimer about moving out of state, and three things to keep in mind during the process. My disclaimer: I believe 100% that moving out of state while you're young is one of the best gifts that you can give yourself!! There are few things more incredible than building a new life for yourself and experiencing culture in a different part of the country- it builds your personal strength and character like nothing else, and gives you experiences beyond your wildest dreams! I've made it pretty known on my blog that Vermont was not my favorite place to live, but with that said, I'm still grateful that I moved there for my first job and spent 11 months there, because the experiences that I had in that time were unique and helped shape me into the person I am today. And obviously I'm so thankful I went to college out of state in the South and am now living here in Virginia- yay moving! With that said- three things to keep in mind. First, moving is really emotional. Partly because of the stress of everything that you have to coordinate and get done to actually execute the act of moving (I'll break down as much of it as I can in today's post to make it easier for you! ), and partly for more psychological reasons. One chapter of your life is physically ending... with a move! There's going to be lots of distance between yourself and the life you once knew everyday. While that could be a good or a bad thing depending on the experience you had in your former state, it's natural to feel emotional. Second, ask for help! It is impossible to move all by yourself. I am so thankful that my dad has been my moving partner for all of my moves in the past years. I couldn't do it without him! (Literally- as he drives the rented moving truck and I drive my car!) This year, I was also thankful to have one of my Vermont friends come to my apartment and help me pack my kitchen, which made that part of the packing go a lot more smoothly. If you're Type A, it can be tempting to want to do everything yourself, but I promise that the more you ask for help, the quicker and easier it will go! Third and finally, moving is really expensive!! I can't stress this enough. There are ways to cut some of the costs and move somewhat on a budget, but all in all moving is extremely expensive. Sometimes if you move for a job your new employer will give you a moving reimbursement or cover a lot of the costs, which is nice. Unfortunately, the radio industry isn't one where this is very common. I've been very blessed that my parents have helped me with some of my moving costs for my past two moves (as I'm still paying off student loan debt right now), but even with them helping, there has still been a lot of unexpected expenses that I've had to pay for. I'll try and touch on that later in the post! Okay- now that that's all out of the way, let's get to my pre-moving checklist! I'm writing this from the timeline of two months out pre-move. I had two months before my move to Vermont, and just a month before moving to Virginia. The more time that you have, the better! *You're officially moving! YAY!! Take a second to jump up and down, get excited, and call your closest friends and family! Decide when you're going to share the news publicly on social media. A big life change and new adventure is headed your way, ENJOY THIS SPECIAL TIME! *Begin apartment search (either online or in-person if you're able!). If you're not able to look at apartments in-person in your new home state, try and plan a brief weekend trip out before the move to look at apartments. If you're not able to do that, research temporary housing accommodations (short-term rentals, Air BNB, extended stay hotels, storage for your furniture etc). I do not under ANY CIRCUMSTANCES recommend signing a lease for an apartment that you have not personally toured and visited in person, so if you're not able to visit your new home for a housing search trip, prepare other temporary arrangements and work on finding a permanent home after the move! *If your situation involves leaving your current job for a new one, plan out when to tell your supervisor(s) that you'll be leaving your current position. Depending on your relationship with your former employer, it might be best to let them know far in advance, or you might want to wait until just the standard two weeks notice. *Figure out all of the important dates and get them set on the calendar! (Approximate last day of work or school, moving day, how long it will take to reach the new destination, approximate moving day into new home, etc). Also figure out WHO is helping you with the move, and make CERTAIN they're able to commit. Decide if you're doing the move on your own (no movers) or using a moving company. If your new employer is paying for moving costs, this would be a good time to touch base on what all they cover. *(If your new employer isn't booking movers for you), research the best moving truck or company for your situation. The size of your apartment or home, distance that you're moving, and days on the road will all come into play for pricing. For example, if you're moving one state away and it's only a few hours, I can almost guarantee that the cheapest option would be to rent a truck and move everything yourself with family or friends. However, if you're moving across the country, it could be cheaper to get a moving company, ship your car, and fly to your new home. Research is key to save money!! Every situation is different. For both of my recent moves, my dad and I have rented a Penske truck. We have found their rates to be much lower than U-Haul, and they also offer an AAA discount on top of that. (I'm not being sponsored at all to say this- we just have liked using them both times!) My dad has booked local movers for an hour on moving day at each apartment- guys that will show up to carry the furniture out of the old apartment/into the moving truck, and then out of the moving truck/into the new apartment at the new place. But my dad is the one actually driving the Penske truck to my new state, and the movers we get literally only carry in the heavy stuff, we do everything else! *Check in with your former landlord about the process for leaving your apartment. All are different! In Vermont, I just told them verbally I would be leaving at the end of my lease and that was fine. In North Carolina- it was so different! My old roommate and I had to sign all of this paperwork a couple months in advance that we wouldn't be renewing our lease- if we hadn't done that, we would have been automatically put into a month-to-month expensive payment plan. *Figure out your going away plans with your friends in your former home! In Charlotte, I had the most wonderful going away party, and a few of my blogging friends also threw me a going away dinner in addition. In Vermont, I didn't have one specific friend group (each friend I had there I met through a different way), so it made more sense to say goodbye to each friend privately- breakfast with one, a shopping day in Montreal with another, and one came over to help me pack. Either way, definitely make plans ahead of time to say goodbye to your friends- take the chance while you have it! *Take inventory of moving supplies that you already own, and begin purchasing new supplies. *Begin packing non-essential items. I'll share more about my packing process in next week's post in this series! *Start wrapping up loose ends in your former city - things like returning any library books, using any local gift cards (I still have a couple from Vermont that I'm frustrated I forgot to use! ), picking up dry cleaning, pay last month of gym membership and refilling prescriptions. If needed, pick up release sheets from your doctors and dentist for your medical records to be shared with offices in your new city. *Solidify last day at your former job (or school). I HIGHLY RECOMMEND if you've been working full time to have a week off after you finish work to just focus on packing and moving. Yes- it isn't fun to have a week of no pay. However I found that it was very hard for me to stay motivated with packing while I was finishing my last two weeks of work in Vermont, and I did the majority of it in the last week once I was home all day! *Schedule car maintenance! This one is so important- especially if you are driving a very long distance to your new state!! This time around I learned that I needed two new tires to safely get to Virginia- I'm really glad I had those replaced. Tell your mechanic that you're moving out of state and want to make sure your car is safe for the distance you're driving. *Finish packing all non-essential items. Move into packing other things in apartment or home. Continue to purchase moving supplies. *Inquire with your landlord about the process for cancelling utilities. At my Vermont apartment, my landlord handled the water, electricity, and trash, but I was responsible for cancelling my cable and internet, which turned out to be a little more of a process than I anticipated. Set cancellation dates for your utilities if this is on you! *If you won't be saying all of your goodbyes at a going away party, begin saying your goodbyes! *Figure out the route that you'll be taking (if you're driving to your new state), and book hotel rooms if nights are needed on the road. *DOWNSIZE!!! This is the time for runs to Goodwill, the Habitat Store, Plato's Closet, etc. Or let friends come over and have their pick of what you're downsizing. True story: some of my favorite things in my apartment are things that I've gotten from friends who were moving! *Get confirmations about moving truck, movers, any other logistics for move. *Pack suitcase for yourself during days of move. Check weather both in your former state and new state. *If you're driving your vehicle to your new state, start deciding which items you'll be putting in your car versus the moving truck. This time around, I put my technology (blog camera, laptops, etc), valuables, and delicate things like artwork in my car, as well as the suitcase that had things I'd wear and use until I got unpacked. *Finish your goodbyes with friends! *Apartment should be 80-90% packed at this point! Drink lots of caffeine, put on some motivating music, and PACK PACK PACK! *Have a last meal at any favorite local restaurants. *Download some podcasts or new music for the road trip (or flight). *Clean essential areas of your apartment after furniture and boxes are moved out (bathroom, kitchen counters, vacuum floors, etc). Take out any Command hooks and take nails out of the walls. *Pat yourself on the back because YOU DID IT!!!! You're moving OUT OF STATE! I know this was a very wordy blog post, but I hope all of this information helped any of you who are curious about moving out of state or have a move on the way soon! Next week's post again will be a packing guide, and again I'm still figuring out the third and final post - maybe a Q&A? This was so helpful! I might be moving not just out of state but out of country so this came in handy for me. This is a nice detailed timeline. Although I do think when moving some places, probably more big city, you really need to start sooner if you can looking for a place. These are such great tips! There's so much that goes into moving - I can't imagine the madness of an out-of-state move! Amazing tips girly! I recently moved out and ugh so much work! I remember when I first moved out of my parents house I was shocked at how much STUFF I had!! I definitely had to purge some of it! Hopefully you're in VA for a while! These are all such great tips! I'd done cross country moves (CA to MD and then from MD to DC) and I've even done a few international moves (USA to Great Britain and from there to Spain) and I can attest these are much better tips than just winging it the week before like I did haha. I'm planning on moving out of state this fall, so this is incredibly helpful! I couldn’t imagine living out of state but this is such a great guide! I would love to live in Florida someday! Prerana | Broadcloth - Fashion you can wear to work . Great tips! I've made several out of state and cross-country moves and there was always so much to do and prepare for!